In this video tutorial we will show you how to open an Adobe Premiere project in After Effects. Launch the Adobe After Effects. 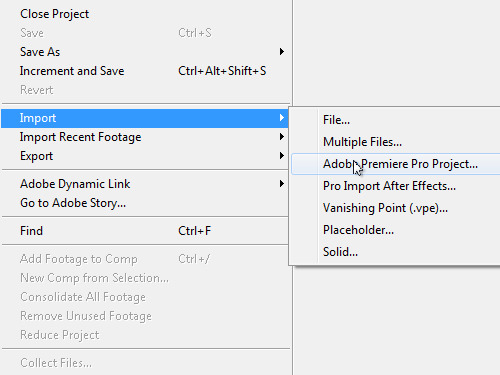 Go to the “File” menu and click on the “Adobe Premiere Pro Project” option under the “Import” submenu. In the appeared window, select the project file you want to open and press the “Open” button. In the following window, click on the “OK” button. Select the imported video in the project window to preview the composition. Now the Adobe Premiere project has been successfully opened in the After Effects.